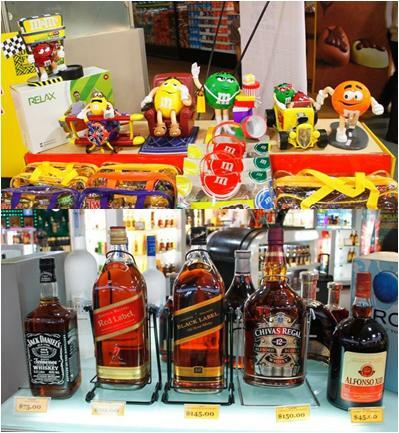 > Duty Free Sale from January 22 to February 29, 2012. 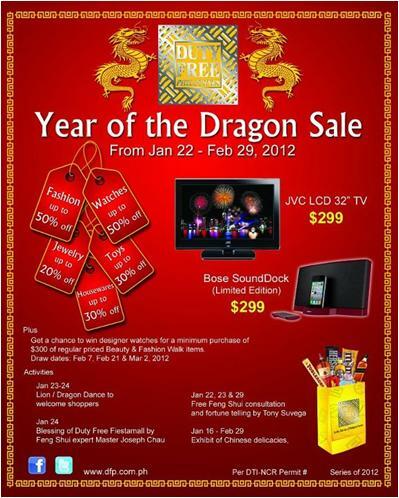 Duty Free Sale from January 22 to February 29, 2012. 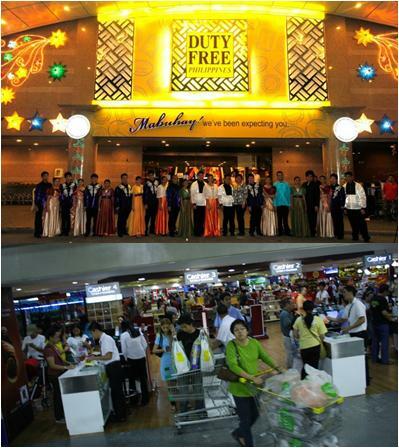 Duty Free Philippines Fiestamall Sale is from January 22 to February 29, 2012. Up to 50% Sale on Fashion & Watches, 30% on Toys and Housewares and 20% on Jewelries. JVC LCD 32” only at $299. Bose SoundDock Limited Edition only at $299. For a minimum purchase of $300 of regular priced Beauty & Fashion walk items get a chance to win designer watches.